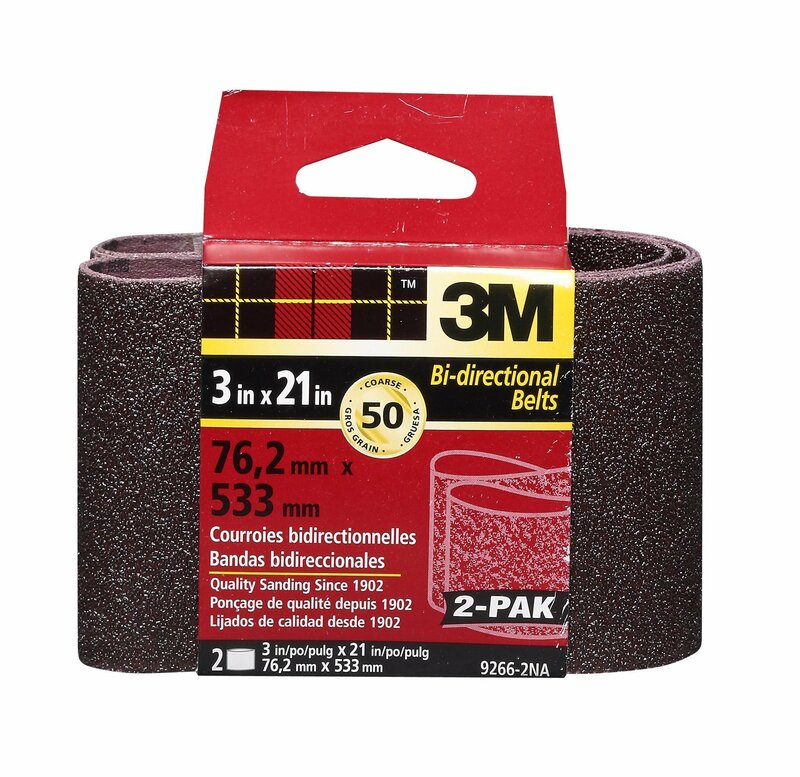 Style: Coarse 2 Pack, 3" x 21", Coarse 50 Grit, Aluminum Oxide Resin Bond Cloth SandingBelt, For Light Sanding Prior To Final Finishing, Use With Standard 3" x 21"Belt Sander. From the Manufacturer Guaranteed to cut faster and last longer than conventional glue bond belts dueto heat resistant adhesive system. Made with tough, durable aluminum oxide forpower sanding wood, metal, plastic and painted surfaces. 1 per pack.